For over 100 years the Norton name has been synonymous with boating and fishing in Wisconsin. Five generations of Norton’s have helped to fulfill the dreams of boaters. Dave and Krista Norton, along with their staff, pledge to continue that tradition. Fishing is in the Norton blood. Dave’s father, the late legendary Fishing Hall of Fame inductee Bud Norton, instilled in Dave all the fishing knowledge anyone could ever want. 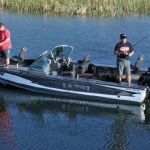 Dave happily shares this knowledge every day with his customers, either when helping them to select a new boat or when answering questions about fishing. We invite you to share in the family tradition by calling or stopping in. You’ll gain valuable insight from Dave, Krista and the staff at Norton’s Dry Dock. 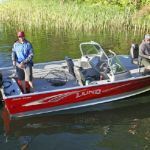 Whether you are interested in purchasing a new Lund fishing boat or a Premier Pontoon boat for cruising with your friends, or just want to chat about the hottest spots for anglers on the lake, we look forward to your call or visit. 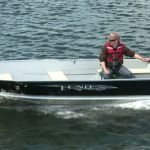 Over 150 years of Marine Service on Green Lake, yes, five generations of Norton’s have built, stored, sold and serviced boats and motors on Green Lake. 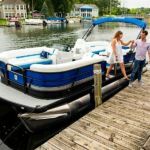 On water delivery of your new boat so you can learn first hand how everything works and be comfortable with your new purchase. We want you out there enjoying the water with your family and friends. 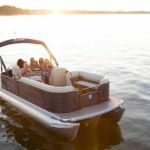 All of our rigs are water tested before you take delivery on your new boat to insure everything is right for you. Customer service – just call and your problems will be addressed and solved professionally. We offer a full line of sales, service and storage. We can do as much or as little as you want us to. Top mechanics certified with the latest computer diagnostic equipment to keep you on the water. The most experienced lift installers on the lake. Our lake foreman, Doug Hare, has over 30 years of experience. We are knowledgeable on the various issues that will make your hoist or dock installation the very best the first time. Don’t have a trailer or don’t want to launch your own boat? Our delivery service will handle that for you with our fleet of trucks and trailers. Continued commitment to train all our employees so you receive the very best service and sales. We are located just 1/2 mile off Green Lake in the center of Wisconsin. Call or click on the link below to email Dave for the latest fishing information to help you locate fish and how to catch them.